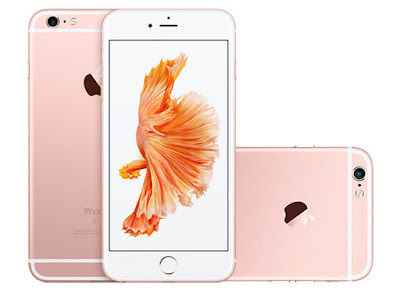 Apple always try to introduce innovation in its new device and now this company launched Apple iPhone 6S with features like 4.7 inches display, Apple A9 Dual-core 1.84 GHz processor, 12 MP camera, Fingerprint sensor, ion-strengthened glass protection, 16/64/128 GB ROM, 2 GB RAM and 1715 mAh battery. Here we will have Short review, Pros and Cons of Apple iPhone 6s. The design of Smartphone retained as the previous iPhone models which is greatly popular worldwide. iPhone 6s is build with 7000 series aluminium. Rose gold colour is very appealing one. This time we are expecting water and dustproof Smartphone from the Apple because when mid ranger Smartphone can provide this feature why apple can’t. 4.7 inches IPS LCD display with 750 x 1334 pixels resolutions and 326 ppi display density looks quite low in papers as compare to devices such as Samsung Galaxy S6 and Motorola Moto X Play while the sharpness and display clarity is pleasing. Display has Ion-strengthened glass, oleophobic coating for protection. The 12 MP camera is a great upgradation over its predecessor iPhone 6 that has 8 MP camera. It also enabled with live photography that takes about 1.5 seconds to capturing the photographs. 4K videos recorded by this phone is 4 times larger than full HD. Both the front and rear camera are able to record 240fps videos. The quality of photographs taken from the device is so impressive with vivid colours shows details in depth. Apple A9, 1.84 GHz Dual-core processor along with 64-bit architecture and 2 GB RAM is far better than its predecessor iPhone 6 that has Dual-core 1.4 GHz Typhoon (ARM v8-based) processor and 1 GB RAM. The best thing about this processor is that it runs better than most of android octa-core Smartphone. Some handset has Overheating in Touch ID sensor. Weight of 6S is 143 grams while 6S Plus weighing 192 gram. 4.7 inches VS 5.5 inches display. 750 x 1334 pixels VS 1080 x 1920 pixels display resolutions. 326 ppi VS 401 ppi display density. 1715 mAh VS 2750 mAh battery backup. When it comes to most Premium Smartphone; Apple iPhone stand in front of the queue. For 2015 Apple launches iPhone in two variants 6S and 6S Plus (4.7 and 5.5 inches respectively). The Smartphone will give you completely new feel if you planning to buy after iPhone 5S but if you are already owner of iPhone 6 you are not going to feel anything much. it introduces 3D touch sensitivity feature which works in three level of touch for showing different options. If budget is not the matter of consideration this phone is really worth to buy as it has beautiful design, great camera and strong processor.